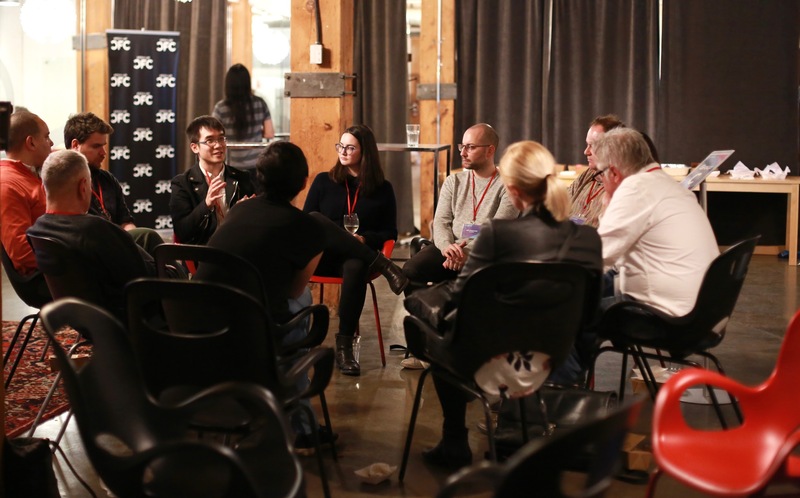 On Wednesday, February 28, CFC Media Lab hosted the first Network Connect event of 2018 at the Centre for Social Innovation in Toronto. 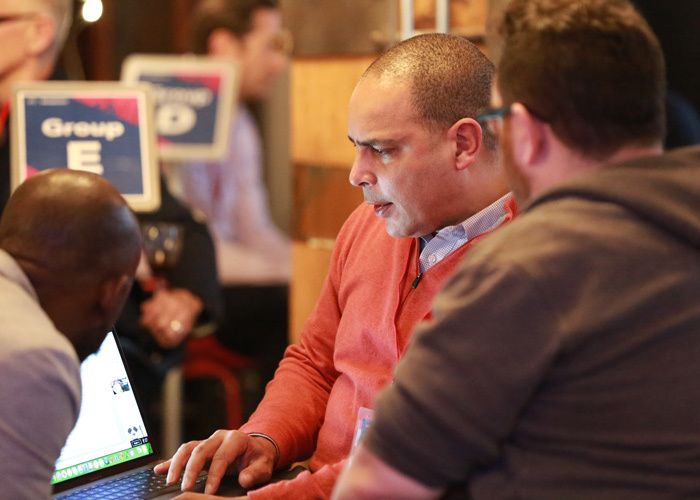 As part of CFC’s IDEABOOST Accelerator, the Network Connect affiliate program brings together startups and founders every few months for a curated series of conversations. Companies who attended were asked to fill out a short survey in advance of the event. Using this data, the team was able to determine patterns of connections and shape discussion groups. Founders were matched based on shared interests, common challenges, and capacity. When asked what technology was at the core of their business, we learned that a sizeable group of companies feature the latest tech, with 17.5 per cent of companies using Virtual Reality, 17.5 per cent using Augmented Reality, and 16 per cent using Artificial Intelligence and Machine Learning. Unsurprisingly, financing/raising money and finding talent were the two most common challenges listed on the survey. This led to a few discussions amongst our founders, some of whom were able to share their success stories with those who are still working on raising funds from private investors. 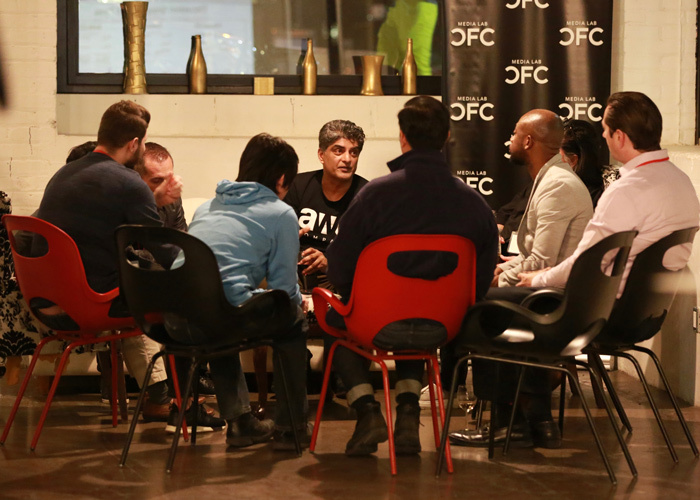 A lightly facilitated process allowed participants to connect with over 15 different founders and mentors, with a total of 338 connections made over the evening. With no formal presentations or panels, the focus of the evening was on maximizing the time for founders to connect to and learn from one another and the mentors in attendance. Upon completion of the exit survey, one founder remarked, "[The] Challenge discussions were insightful and offered new ways to think about things." Another founder noted that they "had the opportunity to chat with [a colleague] whose company operates in a similar space,” adding that “there is a good chance [they] will work together." With that, a big thank you to all of the founders who participated and dutifully filled out their surveys, both in advance and post-event! This helps us in our ongoing experience design. (Version two will be even better!) As more startups join Network Connect, our ability to make meaningful and unique matches will only grow. Lastly, a big thank you to the CFC volunteers for helping the event run smoothly and the staff at CSI for hosting us!